It’s Sunday afternoon, which means it’s time for me to get my kids settled into a nap before I sit down and do the one thing that helps me get a handle on the week ahead. Every Sunday afternoon, I pull out my planner and organize our schedules & meals for the coming week. Having a good idea of what’s on our plate before we head into a busy week is SUPER helpful for me. 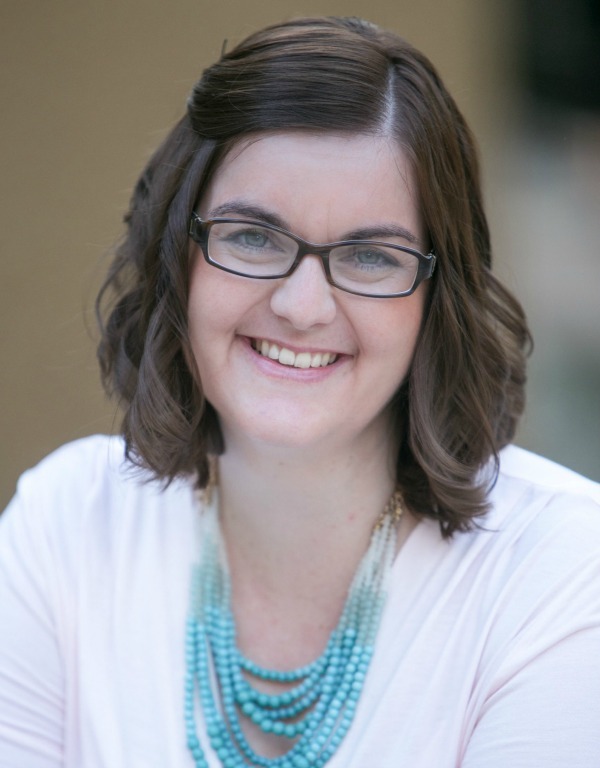 So today, I’d love to share a few tips for a great Sunday Planning Session! Jon and I share a google calendar, and all of our lives are kept on there. If it’s not on the calendar, it’s not happening! So, on Sundays I’ll sit down with that calendar, and transfer important events over to my planner. 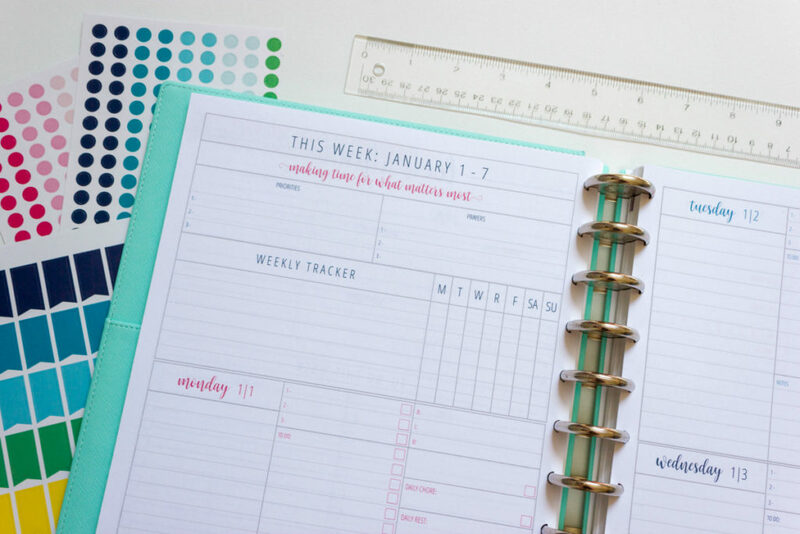 The planner is what I look at on a daily bases, so I need those important things to be there! I enter everything into my planner with a color code. Jon is blue, I’m purple, Emily is pink, Nathan is orange. I’ve got a color for parent-only stuff, and a color for the whole family. It helps me to look at my planner and know who’s doing what at a glance! Once everything is in the planner, and I know what my week looks like, I start to plan meals. This is the ONE part of Sunday planning that is crucial for our budget. If I plan out our meals for the week, we’re much more likely to save money by eating at home, instead of on the go! When I sit down with my planner, I take a look at our schedule and figure out what our dinners should look like. Is one day busy during dinner time? That should probably be a night for a great crock-pot recipe. Is family coming over one evening? Maybe that’s the night I want to do a big dinner with all the fixin’s. It’s SO important to have your schedule done first before you plan your meals – this way you can plan accordingly instead of ditching your big dinner on Thursday in favor of Chick Fil A, because you forgot you’d be driving during dinner time. After meal planning, I write out my task list for the week. I divide this list into two sections: HOME & WORK (or personal). I know my schedule pretty well by this point, after writing out my appointments and planning my meals, so I have a fairly good idea of how many tasks I can realistically accomplish each week. I make this master list as a reference for the entire week. Then, as each day comes, I’ll pull a few tasks from each side of the list – some home tasks, and some work tasks. This way, I’m really making progress on the things that matter, instead of flying by the seat of my pants or watching Netflix all day long, as I am prone to do. Once my master task list for the week is finished, I look it over and pull out just three tasks or themes that stick out as the most important. These are what I call my Top 3 Priorities for the week. Maybe Jon has an extremely busy week, so I need to be sure that the laundry is done and the meals are prepped, since he won’t have time to help me with that. Maybe I have a big work project coming up, so that will get my focus for the week. The point is, I take a look at what my week holds, and understand that I probably can’t do it all, and that’s okay. So I pull out the three things that are the most important, and know that when I do that, the rest will fall into place eventually, even if they don’t get handled that specific week. And that’s all the planning I do on Sundays! Honestly, it only takes about 30 minutes, and then I have such a better focus for the week ahead. I know what I’m doing, when I’m doing it, and I’ve left room for life to go a different way, as it often does. Friend, if you’re feeling overwhelmed by your busy weeks, or you wake up on Monday morning already feeling behind, I’d encourage you to try a little Sunday planning session! It’s a simple way to get your head on straight before the week begins! 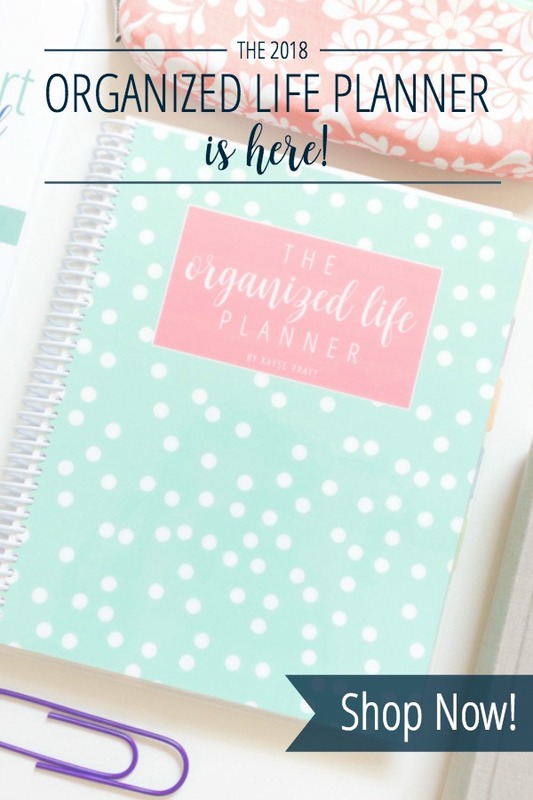 If you’re looking for a tool to help you organize your weeks and your days, I’d love to invite you to check out the 2018 Organized Life Planner! It’s got sections for monthly planning, weekly planning, AND daily planning, with spaces for you to keep track of all of your responsibilities each day, without getting overwhelmed. It’s truly unlike any planner out there right now. See, I’m a total planner junkie. I have always loved planners and everything about them. For years, I’ve shared with you The Ultimate Planner Reviews, while answering questions and helping people choose their perfect planner. And yet, I’d still been on the hunt for mine. Don’t get me wrong, I had found planners & systems I really loved…for a time. But I never found a planner that worked for me in every season of my life.  I wanted everything in one place – one central reference guide to organize my chaotic life. I wanted specific aspects of this dream planner, like monthly, weekly, AND daily views. Like meal planning worksheets and shopping lists that were already categorized. Like ways to track progress on my goals every single day. Like a ton of notes pages so I could keep my master lists right there in my planner. Every planner I found had one or two of these qualities, but never ALL of them. They always sacrificed something. And I was tired of sacrificing functionality for a planner that was just pretty. 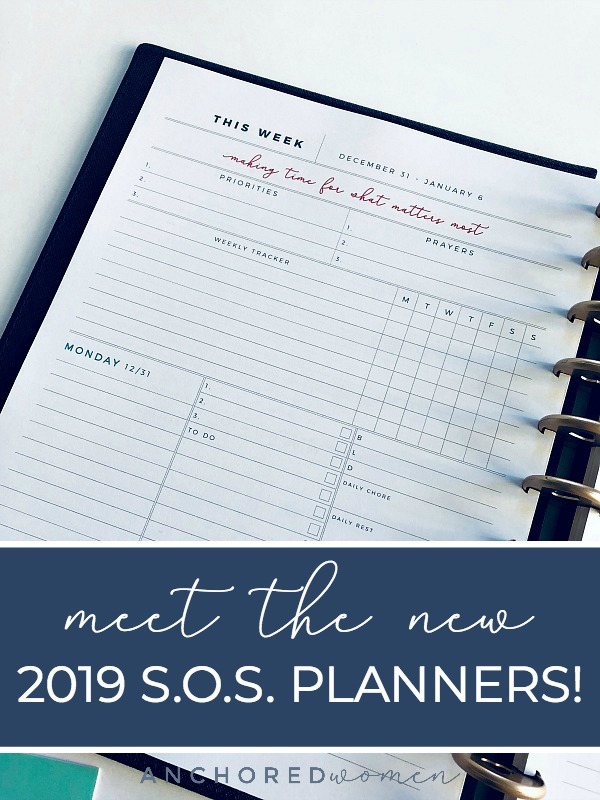 What I needed was a planner that could organize both my home life AND work life, and help me stay on top of both my daily responsibilities AND our long-term goals. And so, The Organized Life Planner was born. It’s got everything I mentioned above, AND it’s pretty. Using this planner has changed my life in the very best way, helping me feel less scattered and more focused every day. My hope is that it changes your days too, and becomes a tool you can use to truly organize and simplify your life – getting everything down on paper so that you can actually clear your head, and make time for the things that matter most. Ready to get organized? Sunday is the perfect day to start! Grab your planner here, and get immediate access! I love the layouts you have designed! I am only seeing the option to download the planners. Can they be ordered from you already bound, or do I have to print and then take them somewhere to have them bound myself? Can you purchase the planner printed and punched for a filofax? No, I’m sorry, the printed planners come spiral-bound.